If you see a bright purple wildflower on the side of a yellow truck roaming the streets of Friday Harbor, it’s probably the new flower business in town. 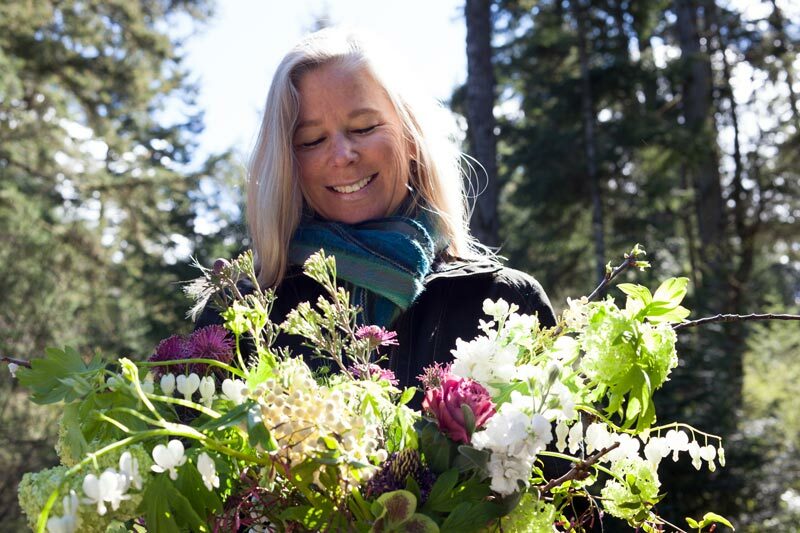 Erin & Robert Shackelford have started Camas Designs, a floral design and artwork company based in Friday Harbor. Erin has been arranging flowers for years while working her “corporate” job simultaneously. Earlier this year, Erin decided life was too short not to follow her passion and is now bringing joy via flowers to those around her. Camas is committed to using American grown flowers and they source their flowers from San Juan Island farms and a Northwest flower farmer co-op. Camas is creating a limited number of centerpieces for Mother’s Day. To order flowers for Mother’s Day, email Camas at erin [@] camasdesigns.com or call 206-437-4993. To guarantee availability, place your order by May 3rd. The motto of Camas Designs is “locally sourced happiness” which highlights their mission to bring island beauty into your home, wedding, event, or workplace. To learn more about Camas Designs, visit their website at www.camasdesigns.com.